I'm looking at accommodation for an upcoming trip to Japan. A room I'm looking at quotes a "semi-double bed", a size I've never heard of. I found this question asking about "twin beds", but the Wikipedia page on bed sizes it links to doesn't mention semi-doubles. How big is a semi-double in Japan, and is it suitable for two people to sleep comfortably? 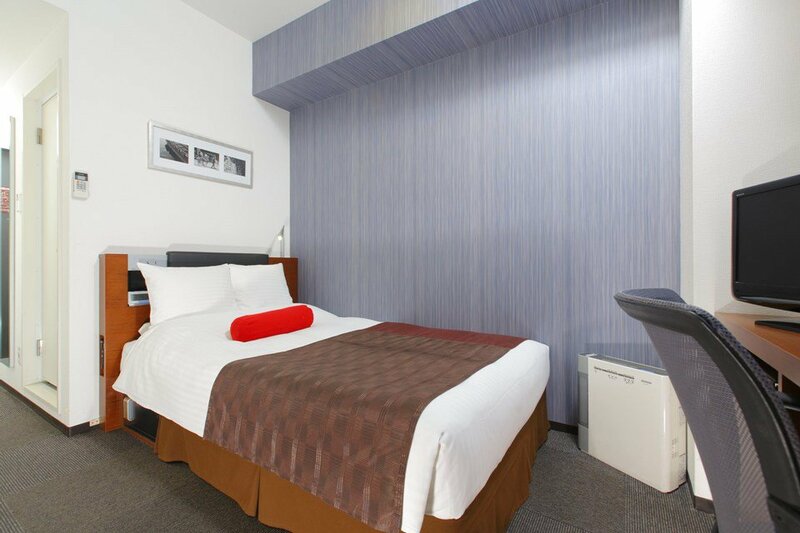 A Semi-double bed is around 120 to 140cm (47 to 55in), depending on the hotel. I shared a semi-double bed at Mystays Asakusa-Bashi with a friend. If it hadn't been my long time friend, I would have been very uncomfortable as you WILL end up touching/brushing the other person while sleeping, even if you don't move much. Here's an image of such a bed in Asakusa-Bashi. The size here is 120cm. If it's your significant other, you should be fine. Semi-double is 120cm width, while double is 140cm, single is 100cm, and semi-single, which you rarely see is 80cm. I don't know what @JSLavertu took the figure from, but usually the size of semi-double is 120cm, not 120cm to 140cm. Although some people might sleep together, I don't recommend it. Especially if both are men, it is highly uncomfortable. Semi-double is created for those who want more space than single, and thus is suitable for only one person. Not the answer you're looking for? Browse other questions tagged japan accommodation terminology sleeping or ask your own question. Where to find out more about “ライダーハウス” / “riders' houses” in Japan? Non-commercial long 7 day retreats in Japan? Are there hostel search engines with which you can search for family rooms in Japan?